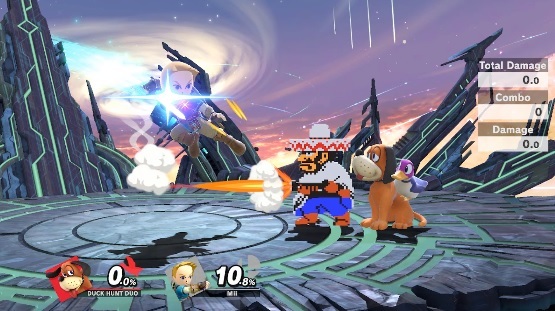 Since its release back in 2018, a fair few bugs have been found in Super Smash Bros Ultimate. Some of these bugs are pretty amusing, and arguably make the game better without patched. Like the one that lets players use completely black versions of characters ala Dark Link in Super Smash Bros Melee. Or the one that lets them spawn infinite Assist Trophies with Isabelle’s fishing rod. But some aren’t, and are clearly glitches that need to be patched. Like today’s bug, which outright crashes the entire game. Source: Glitch found by Flaming Oranges and VocalEcho on Reddit. That’s really all there is to it. Just having two seemingly random moves colliding takes down the entire game with an error message. Cause we have absolutely no idea how something like this could even begin to happen. There’s nothing complicated going on, the player isn’t doing anything clever… they’re just using two random moves at the same time and bringing down the game. So yeah, if you want to avoid the bug, don’t play as Mii Swordfighter with this moveset, and don’t interrupt Duck Hunt Duo’s moveset with Gale Stab. Do that, and things will stay nice and stable while Nintendo works to patch the actual bug.